These words by Abramovich explain the motive behind his Chelsea takeover, and what has transpired ever since. Chelsea prior to Abramovich was in the same position as Everton are today. Best that they could have expected was a good cup run and an extraordinary league campaign which would see them qualify for the Champions League. All that changed when the Russian business tycoon decided to change the landscape of the Premier League. Interestingly, the revolution might have started a bit before the takeover in June 2003. Last day of the 2002-03 season, Chelsea vs Liverpool, a match of great importance as the winner would rake in 3 points and climb to the 4th spot and a Champions League qualifying position. A certain Jesper Gronkjaer turned hero for the blues that day with an assist and then the scoring the winner in the 2-1 home win and in process, started the ball rolling for much bigger things. 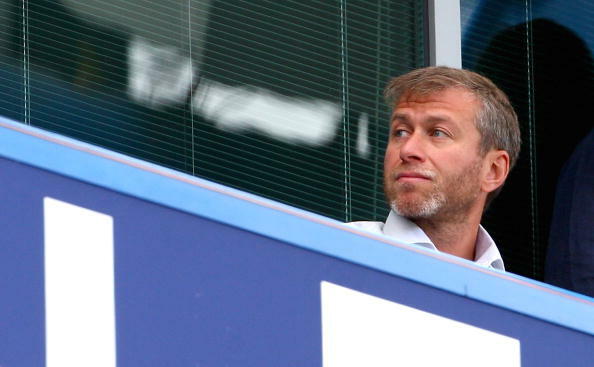 The qualification for the Champions league would have played a key role in Abramovich’s decision. 3 Premier League titles, a Champions League crown and a Europa League trophy, and 8 domestic major and minor cup victories means that the club has won more than half of its all time honors in the last decade under Abramovich. A trophy cabinet which not even the most ardent of the Chelsea fans would have dreamed about a decade earlier. But what is the cost of all these? Not quite in the literal sense, but what about the collateral damage. The grass is not as green as it seems. What about development of the youth team. Apart from Bertrand playing a minor role this season, who from the Chelsea youth academy has gone on to play significantly for the club? McEachran – well, we would never see his full potential while he still remains to warm the bench at Chelsea. A talent which almost all agree can develop into a future England national team member, wasted due to the lack of opportunities at quality top flight football. Hutchinson was tried out, but the ambitions of the owner didn’t allow much time for try-outs, so he was pushed back in the reserves. Michael Mancienne, Miroslav Stoch, and Gökhan Töre were never of the quality to get a break into the first team. Scott Sinclair, although originally a Bristol Rovers youth product, can be considered as a sole success to come out from the Chelsea youth set-up since the take-over of the club. Unfortuantely, he seems to have thrown it away by choosing a move to Man City’s bench. A large part of Borini’s development is due to the fact that he chose to leave Chelsea in search of first team football. Then there is the bench strength. In plain view, it should be the strength, the plus point for Chelsea. But it is also a hindrance for the youngsters at the club. Normally, in the League Cup and the first few rounds of the FA Cup, the big teams give their youngsters a run in the first team. But due to the big squad that Chelsea possesses, the fringe players who were brought in for quite substantial amounts, and who don’t get much first team action are played in these games. Also Abramovich’s greedy desires of winning every tournament they play in means that even these fringe players lose out to the regulars most of the time.